Work for Q Research Software? "It just does what you need, faster and better than you could imagine"
It's not SPSS. I've tried more or less the full set of survey analysis tools - from the basic cross tab tools like Survey Reporter and MarketSight to the infinitely more complex and powerful R, and of course the standard SPSS which tries to do both and fails at doing either. Q is much better than all of them for the vast majority of tasks in survey analysis. It's just very clear from the beginning that Q was designed to do what you expect a survey analysis tool to do, to the point where everything else looks clunky and unusable. It's especially well built for tracking studies (or similar projects with different iterations i.e. a repeat among a different audience, or a different attempt at the same research question), but it is great for complex one-off studies too. Data cleaning, data transformation, data design, data analysis, data outputs - all much better than their competitors, with the exception of R and data analysis. And since Q integrated R into its platform it blows everything else out of the water. The best thing in truth is probably how it links up with Excel and PowerPoint - you can basically watch it do the job of a Research Assistant, quicker and more accurately, right in front of your eyes with a couple of clicks. But it's all great. The visualisations are seriously retro. If the guys that run Q and Displayr can nail that part of things down - making the default chart templates look clean and professional, while giving the advanced visualisations a genuine wow factor - then they're on track to being the industry standard. As it is they are the best out there but data vis is the direction the industry is going in, and so far none of the survey analysis tools have been able to do it well - including Q. I'd be uncomfortable sharing them with anyone in my own company never mind with clients. You can do some really cool things in R but you need serious technical knowledge to do so. The best thing about Q is it's designed to make everything you need easily accessible. Soon enough data vis will go from being a nice to have to an absolute essential and I hope the folks here lead the charge! If you spend even a few hours a week looking at survey data, and you already pay for any other specialist software to do so, it's time to switch. This will free up your time to do the fun parts of survey analysis, and it'll make those fun parts more reliable, more accessible and more powerful for anyone that subsequently uses the data. Ultimately it just allows you to share your data with more people, more easily, and provide them with a better version of it. Which subsequently means they can spend more time thinking about and executing more interesting things, to derive real insight and drive decisions. It alone elevates the value of any research conducted via surveys, and research is as valuable as ever. It's improved everything from efficiency to transparency to quality in the survey analysis element of my role. Surveys are still used too often in the industry for my liking, but that is the reality, and Q is simply the best for it. It gets rid of so many of the mundane components of survey analysis from data checking to data inputting, on a huge scale. Without Q about 40% of my workload would be very manual, mundane data checking processes, and inevitably some of it would be wrong. Q cuts that down to about 10% and the accuracy and transparency in the process is much higher. That time is then spent thinking about bigger things - what data do we need, how can we extract the most value out of it and how can it be shared best with the people who need it most. Most of which Q helps with too. Which then leaves a bit more time for free-form thinking and innovative solutions on a larger scale, which is more valuable than ever. "Powerful market research software for beginners and experts alike." Perhaps the best attribute of Q is the support. There is extensive documentation available for users as as resource, in addition to person-to-person help. The online forum documentation includes tutorial videos and the company hosts several webinars every quarter to stay up to speed on not only the product, but also industry best practices. In addition to the support, the product itself is accessible for both the novice and expert with market research software. Unlike SPSS or WinCross, you don't need to learn any syntax to build crosstabs. However, if you are more seasoned with R, there are several advanced options available to customize your deliverables. Also, unlike some of the more traditional resources, and certainly the biggest sell for Q is the ability to automate the process from data prep all the way through reporting. You can build your tabs and export into powerpoint presentations all within the platform, making Q a differentiated product in the space. While the product is filling a white space for market research software (data prep, analysis, reporting all in one automated tool), there still seems to be a long ways to go for full automation. When setting up the framework for your crosstabs and reports, there is still quite a bit of manual labor. With that being said, for someone who is used to SPSS or WinCross, it can be somewhat challenging to transition from a syntax-heavy platform into the drag and drop functionality. When first learning the program, it does take some getting used to and is at first difficult to build more advanced or complex logic sequences or tables. It takes time and practice to pick up. Dedicate resources and time to setup. Utilize all of the support options available, including the customized training. It does take time to learn the software and to setup the frameworks needed for your projects. We initially were looking into platforms to replace WinCross for our market research crosstabs. However, when we were exploring other software options, we quickly realized that Q could have the potential to automate our entire market research process. Everything was manual from the data prep, to building tabs, to manual data entry in reports. Q has solutions that can alleviate that manual labor. We are currently building the frameworks needed in our process to transition entirely to Q, but it does take time. "Q replaced 2 pieces of software and for less money"
Replaced SPSS + Survey Reporter so that I now only need one tool. Has a load of fantastic integrations with R for advanced analysis. I particularly like the latent class segmentation tool. Easy to use, pretty intuitive, and I feel I've only scraped the surface of possible use. It's not a deal breaker, but it only works on Windows, so I have to run a virtual Windows PC on my Mac. The one other thing is that if you export respondent level data, even if it's just a handful of variables for few hundred records, it can sometimes take 30-60 minutes to do this. Download a trial and see for yourself! "Simple interface, tons of options"
I love that Q has a very simple graphic user interface and is much more intuitive than other research/stats software on the market. It can be difficult to get a hang of the various functions depending on your field (different names are used for the same methods, depending on your area of research). Be sure that Q can meet your needs before investing time in learning the product. Support is minimal, so you'll need someone who can serve as your guru or go-to when implementing this software. Q lets us run tests and create tables with ease, faster and cleaner than other software. It is just so quick and easy to use ... it's very easy to set up tables, it's easy to conduct tracking studies, run multivariate analysis, export data (which is in a format that can easily be used by our chart system). it's not hard to learn to use, and if I do have a question, there is plenty of supporting documentation (e.g. online training, the wiki, and the support team are all terrific). It's just a very flexible tool. We've been using Q for many years, I couldn't bear to go back to SPSS now. I can't think of a single thing ... I'm only writing more because the system is insisting on 40 characters. We are a full service agency and conduct almost all our quantitative analysis using Q. It's very useful, not only for conducting the analysis, but allowing other team members to QA the results. The Q software is absolutely amazing, it allows for quick and easy data processing and analysis. Far better than any other software I’ve used in my 10 years in research. Again, the software has multiple features to prevent errors and streamline data manipulation. Q Research Software speeds up our data manipulation and analysis process and guarantees high-quality data outputs. The software allows us to seamlessly conduct advanced statistical analysis. We're confident that Q is constantly innovating and enabling us with the latest capabilities in data analysis. "Q makes enables you to become a hands on data analyst!" Have been using Q for the past 4 years and absolutely love it as an analysis tool. We started with one user license in Nielsen and soon realised the tremendous potential benefit of having Q for our associates in client servicing. It helped them to be more productive, reduced cycle time of projects, eliminated back and forth with the data processing and analysis teams. Q is extremely user friendly and quite intuitive to use. Using Q the teams were able to gain deeper insights from the data. It was helpful not only in delivering greater value to our clients, but also to internally among our teams. The Q training and support teams are really proactive and are every ready to help resolving queries and problems quickly. Nothing much to dislike about Q. Its only certain data formats are not supported and hence its a good idea to have the survey data map aligned with the Q data structures. Q is a great tool for doing primary and advance multivariate analysis in a simple and fast manner. It helps teams to work more productively bringing down the cycle time of research projects. The tool is easy to learn and people can be trained quite quickly. By enabling teams to do advanced analysis to gain deeper insights of the data, it added tremendous value to our clients. Its one of the best data analysis tool to work with. I've been using Q at various capacities for about 6 years. It's easy to use and it saves me TIME! Before Q, my biggest gripe was the amount of time it took to create a simple matrix (grid). Unless I bought an add-on module for another tool, i'd have to create my matrix the long way, and then recreate it if I had updates in my data! With Q, a matrix is only a few clicks away. Even better, Q often realizes what I need on it's own when I Ioad the data for a new project. * Ability to download and update to Microsoft products. The table of contents feature for excel is a favorite at my organization. * Automated scripts -- I once had a problem with my data (caused by a glitch in the survey tool) that I'd never encountered before and Q had already developed script to fix it! Very little that i dislike and I've been able to find a work-around for those things. Any pain points I've had, I've communicated to them and they've either a) suggested an alternative, b) added them to the list of potential items to address in an upgrade. They have a free trial - what do you have to lose? I promise you'll love it! I currently work for a non-profit, so fund are tight. One division was ready to spend a hefty amount of money to pay someone to generate cross-tabs and do some analysis because their project manager was concerned she wouldn't have the time or the know-how to do them herself with her current tool. I loaded her data in Q and showed her how quickly she could do all she needed - she almost burst into tears! The company saved the money it would've spent on the analyst, the project manager obtained a Q license, and she was able to produce everything she wanted (and more) with Q. "A great table creator with top of the line Statistical analysis"
The table creation interface is really easy to learn. The in-built tutorials are good, but you can get a long way just from using common sense. With a bit more practice you can master creating new variables. It always lets you know if there is something that is a bit 'off' in what you have specified, so you can go back and check. It makes Regressions, Latent Class Analysis and Correspondence maps really easily. The software is well designed, and really suited to a market research environment. Anytime I have used the help desk, the response is quick, personal and helpful. I really enjoy using Q. Sometimes updates have had changes that I have to stumble upon, or a feature tha I had gotten use to using, and was using as a 'hack' has been removed, (such as the way it used to create banners). I have to find new ways around it. It would be nice if the updates allowed the old style as well as the new style. But I have always been resistant to change, so this is probably more about me, than about Q. We are able to provide advanced analysis four our clients - Regressions, Segmentations and Correspondence maps. "Accessible by just about anyone no need to have SPSS knowledge"
Everyone in our research team can now delve into the data instead of relying on cross tabs produced by the DP team. We find we start building the structure of our story a lot earlier in the analysis stage and can get answers to questions that data poses quickly, so instead of ignoring the question because the DP team is busy on a another project our researchers can get the answers themselves. Another factor is that the Q team is always there ready to support us and answers any queries we have about how to do things very quickly. Not much to be honest. I just want to see the product continue to grow and develop. Being directly linked with a leading data visualisation product (read extremely versatile) would be great where all of the analysis and variables are controlled within Q and the data visualisation is conducted seamlessly by a specialist product woudl be rgeat. Getting to the insights faster by having more researchers (those without SPSS experience) able to access the data means we write better reports and provide more valuable outputs to our clients. If you are using quant stats at all you should use this software. It is so much more simple and easy to use compared to other stats software that using an alternative makes no sense. Simple does not mean it is less powerful, for example you can create a map using correspondence analysis in three clicks - you can experiment till you get the model looking right. It also gets the simple things right, like having significance testing in the same table as the data. This is research software designed by researchers - and it shows. Sometimes new features are not well documented and you discover them by accident. Significant improvement in workflow and time required to complete projects. The simple work can be carried out by an assistant leaving senior staff to work on the complex issues. We can set up basic tables in a few minutes which means that no survey goes out without the data being checked. We have a 0% error rate in fieldwork. "Can't recommend this software enough"
We have been using Q Professional in our market research practice for over 8 years. Having migrated from what was an industry standard, it's hard to contemplate ever going back. Q is incredibly easy to use so you can do basic analysis really fast. The tables are all dynamic so you can sort, rank, merge rows or columns, change the reported statistic etc. instantly. It also interfaces with Excel, PowerPoint seamlessly, so the time taken to structure and build a report has reduced dramatically. And the best thing is that after 8 years we are still discovering new and more powerful features to support advanced analysis. We like to be creative and fluid in our approach to analysis and Q supports us in this endeavour extremely well. We'd be lost without it. Our work is bespoke market research so we are analysing data to address a specific client brief. Q has an enabled us to deliver a better product, in substantially less time than our previous statistics software. "Developed by researchers for researchers"
It's intuitive - easy to learn and use. Allowed us to bring analysis in house instead of outsource and also provided cost efficiencies. Nothing. I'm very happy with the product and excellent customer service. Quantitative analysis from survey research and analysing client databases. "The only data analysis software you'll ever need for your survey data!" Q is by far the most intuitive data analysis software that I've ever used, and most importantly, it's intuitive nature doesn't compromise functionality or analytical capabilities. To be honest, no big shortcomings come to mind. Any time I don't know how to do something, I search on the online Wiki or contact technical support and between these two sources I always get to an answer. 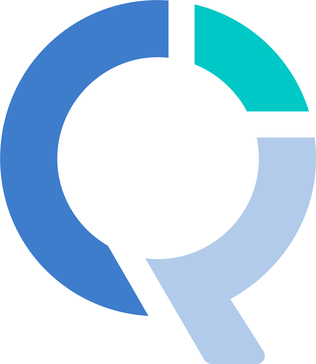 If you are a market researcher, or just someone who often mines survey data, you NEED to give Q a try! It was especially designed for this purpose, and so the functionalities are optimized for this need. At our company, we often outsource research to external agencies who then provide us with reports and Excel data tables. However, we always like to be able to go deeper into the data ourselves, and by simply asking them to provide us with an SPSS file, we can then easily mine the data ourselves using Q. What's even better is that if someone on our team takes the time to set up the Q file and build tables, filters, code-frames, etc., that person can then easily share the Q file + data file (as a Q pack) with the rest of the team. I think it's important to know the kind of care and attention the Q team puts into everything they do. In this case, the webinar for the Q5 beta volunteers. You're probably familiar with companies pouring millions into their software solutions and using the webinar circuit to get word out. These webinars are usually with some dull schlub or a group of voices obviously reading a script with a very practiced and wooden excitement. This one was different. Tim is clearly engaged with his own product (not as common as you'd expect among other products) and familiar with the changes we'd encounter. He also clearly knows his customers (probably because he is frequently the go-to for advanced support.) This webinar was filled with crisp content on exciting changes, great flow, tons of actionable yet not overwhelming info, relevant glimpses to the past and into the future, and just enough whimsy to not notice the hour go by. Aimed at current users whom he clearly understands, but perfectly relatable for newbies – can’t wait to start using it and to share the link with the stubborn souls I'm trying to convert from SPSS. The first benefit was the one with the most impact. It turned a quarterly reporting process that took three weeks to set up and an additional one week per report into a one-week process. Saving US$12,000 in quarterly production, allowing us to use it more effectively as analysis time. "Best data analysis & stats package for market research"
Q is by far my favourite software for quantitative market research analysis. It literally combines the best of both worlds - it does all the "basics" very well such as crosstabbing, tables and data grouping, but it also packs some really advanced statistical features (choice modelling, maxdiff, latent class analysis) that would usually require buying specialized software for. The interface is simple to use, and it has a very flexible engine that allows you to manipulate and reshape data the way you need. I feel that this software allows a researcher or data analyst at all levels to do their job better and quicker. Overall a highly recommended software package if you work in market research, nothing else comes close! Just one minor gripe - the inability to construct nested table headers without creating banners. I work in a market research consultancy, and we use Q as our main data crunching and analysis tool. Because it is so easy to use and learn, even newcomers to my team can start using it right away. It has made our reporting process more streamlined by allowing us to run all of our own analyses and explore new hypotheses without the help of an external data processing team. "Best research software I have come across"
Q understands market research data and deals with it appropriately. It is extremely flexible and easy to learn and use. The support for the product is truly amazing, with a support team that are highly knowledgeable and responsive. Some of the more advanced features can be a little tricky to learn/use, and when running some analyses it is critical that you have your data set up appropriately beforehand as Q will make assumptions on how to run statistical procedures (such as regression) based on the stated nature of your data. It does not provide as much control over more sophisticated procedures such as regression analysis as I am used to using software like SPSS. Fantastic, flexible software that enables users to interrogate market research data themselves rather than relying on others. Much easier to use and better supported than competitor software I have used in the past such as Asteroid. We use Q to analyse market research data. It has allowed us to move from the old traditional method of getting tables run, looking at the data, coming up with hypotheses, and then having to get more tables run, to a much better and more flexible approach of being able to run the tables ourselves, and then interrogate the data any way we want to as we analyse it, placing much less burden on the data processing team and allowing researchers to have more control over the analytic process, providing them with the ability to examine the data from different perspectives and to test hypotheses quickly and easily. I have been using Q professional is various capacities for about 8 years now. I would struggle to be without it! It is extremely user friendly, makes simple analysis a breeze and complex analysis simple! I love that it allows me to find the 'story' and true insight in market research data by taking the hassle out of the analysis and letting me purely focus on what the data is saying. I have introduced many clients & colleagues to Q over the years - with vastly different levels of analysis skills - and it truly has something for everyone - from simple cross-tabs to correspondence maps, segmentation and beyond! I also really like that they continue to develop and evolve the software and really listen to user feedback so things which used to be hard or annoying have been rectified. There are a few little nuances in the software (mostly related to missing values & base sizes) which can be a hazard for those with less experience with data. But when you are aware of these, it's very straightforward to avoid. Currently, I'm using the software for follow-up analysis after projects are complete but the business have further ad-hoc questions. Being able to respond to these questions in a really time-efficient manner is brilliant! In previous roles, the software allowed me to bring certain processes in-house, and semi-automate, which brought both cost & time efficiencies. "Q simple, quick and easy while very comprehensive"
Once the dataset is setup I find Q so quick and easy to run crosstabs, regression analysis, segmentation and any other analysis to meet our client's request. I find the support from the Q team excellent should you have an issue or query with the software and/or analysis. A simple email describing the issue and someone is back to you very quickly. As a analysis consultant I am working with different customers of my clients and the business problems can be different project to project. A lot of my work is around deriving drivers of customer value. "Still learning, has its benefits and downfalls"
Saves our team time!! Initial set up takes time, but very beneficial when you have tracking studies. "Excellent software for market research purposes"
Q is extremely intuitive and easy to use and makes organizing, visualizing and cross-tabbing data - as well as more advanced analytic techniques - simple and productive. There is not much, if anything, I dislike about this software. The support is timely and responsive and resolves any problems that may not be available on their documentation wiki. We use Q to organize, clean up and cross-tab/filter data. We occasionally use it for other analytic techniques, but most often for these purposes and find it saves time and increases productivity. "Owner & Founder of Barraza & Associatess"
Love it. Intuitive. Powerful. Easy to use. Been using SPSS and other stat packages for nearly 35 years. Q runs circles around SPSS when it comes to market research applications. "A great analysis tool, which saves us time"
Excellent customer service, powerful software, intuitive and lots of useful shortcuts. Ability to export to Powerpoint templates is excellent. Take the time to learn all software functionalities- very useful and worthwhile investment. Learning about Q Research Software? * We monitor all Q Research Software reviews to prevent fraudulent reviews and keep review quality high. We do not post reviews by company employees or direct competitors. Validated reviews require the user to submit a screenshot of the product containing their user ID, in order to verify a user is an actual user of the product. Hi there! Are you looking to implement a solution like Q Research?